Making a daily detox water is a simply habit that can provide big health and wellness benefits. Our internal organs can trap toxins, and detox drinks are the perfect way to flush out all the gunk. It’s important to give our digestive systems a rest from breaking down and digesting foods. The liver is the most important organ to detox, and drinks like these can help it function to its fullest. Lemons, cucumbers, apple cider vinegar and cranberries are excellent ingredients to include in detox drinks to cleanse our bodies and assist in weight loss. They contain important vitamins, minerals and enzymes that rev metabolism, improve digestion, fight off cravings and improve your inner body and outer looks. Your body will thank you and you’ll feel more energized to take on anything your day throws at you. 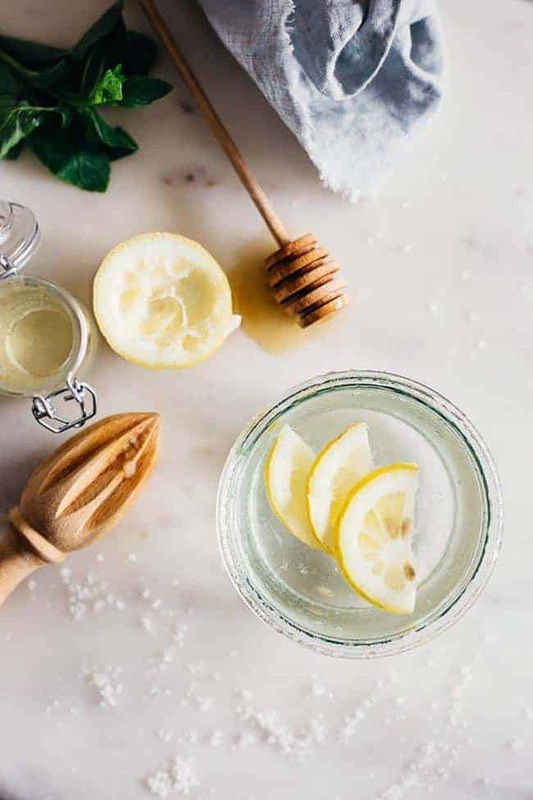 There are countless reasons to start your day with a tall glass of this lemon water elixir (here are 10 in case you’re wondering!). 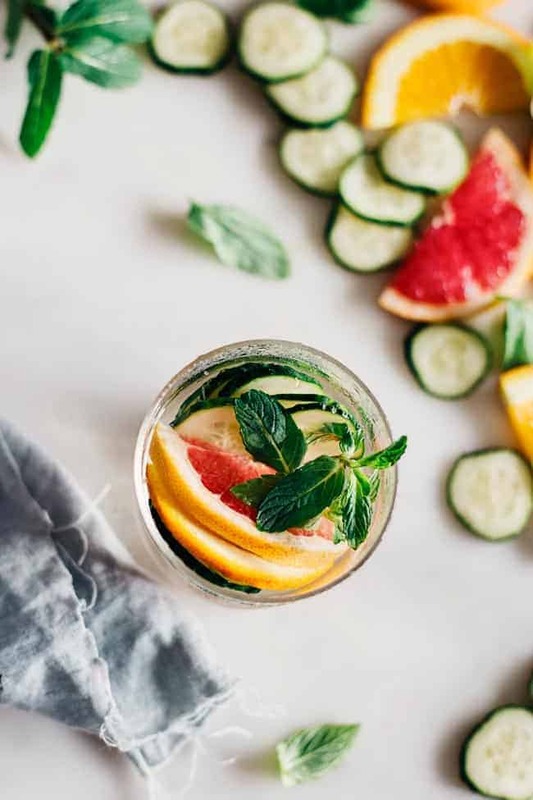 Our bodies lose moisture while we sleep so replenishing first thing in the morning is the best way to stay hydrated and kick start digestion and metabolism. Drink yourself skinny and flatten your belly with this drink. Not only can cucumber and citrus flush away toxicity, but you can also add vital nutrients and minerals to your water. Drink this skinny drink all day and flush the belly bloat away. Rinse grapefruit, tangerine, cucumber, and peppermint leaves. Slice the cucumber, grapefruit, and tangerine. Combine all ingredients in a half gallon pitcher. Keep it simple! If you want to make another combination for optimal detox and weight loss, you can. Simply take a large pitcher or other water safe container, and fill with fresh water. 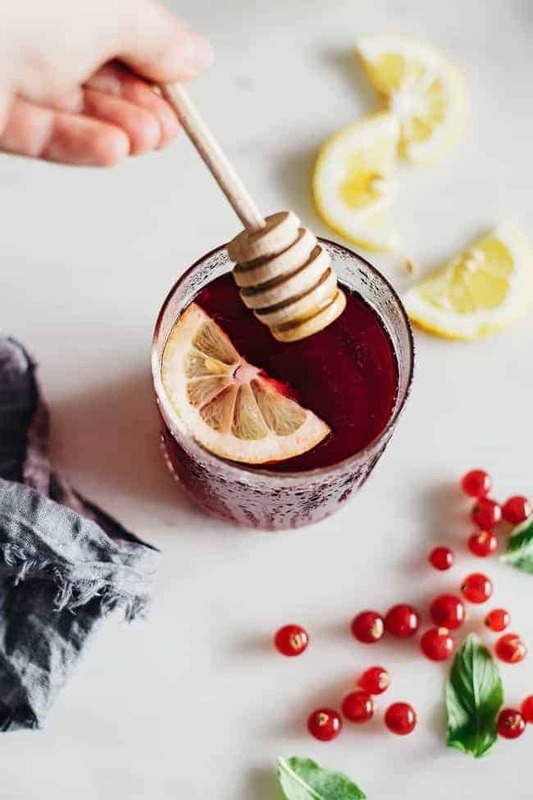 Add fresh fruit (cut the fruit into paper-thin slices or small chunks), mint for extra natural flavoring and stevia or pure raw honey for sweetness. Cranberry does more than help prevent UTIs. Cranberry water helps detox your liver and provides digestive enzymes that help your body rid itself of small fatty deposits, according to LiveStrong.com. If you cannot find cranberry concentrate, you can use pomegranate or cherry concentrate instead. Drink one cup at a time throughout the day. The dishes you make are delicious and beautiful. It is very suitable for summer. Can I use grape vinegar instead of Apple cider vinegar for your lemon water elixir? Can’t wait to try these! Grapefruit in water is a great idea. Thanks for the yummy recipes!! How long would you recommend to detox, consuming the recipe(s) and refraining from food intake? Thanks greatly!! Aw.. I am trying it. so cool! Your blog has everything! I love it! I’m so happy you shared these detox water recipes! I find water very boring and this is exactly what I needed! Lovely post! These all look far more delicious than the warm water with lemon juice I start my day with. Saved! This was exactly what I needed! Thank you for sharing this.